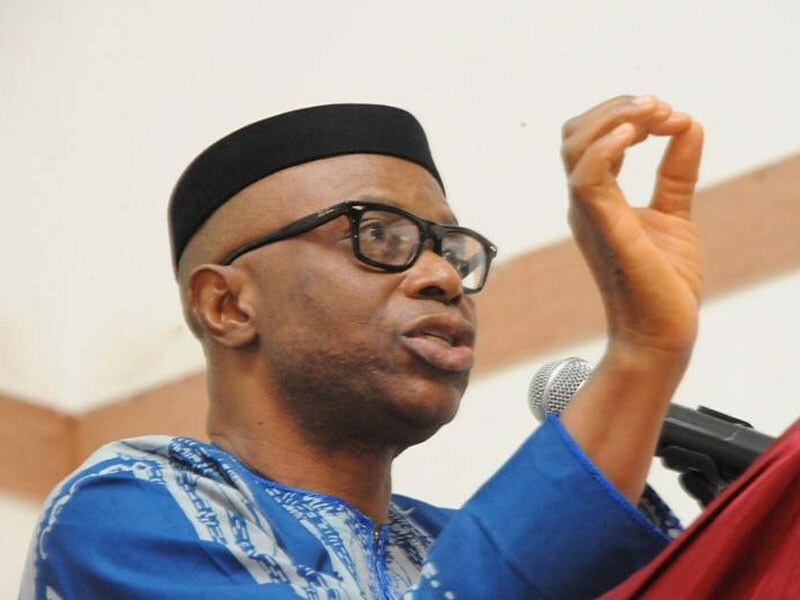 Former Ondo State governor, Olusegun Mimiko, may have lost his ambition to represent Ondo Central Senatorial District in the Senate, going by results being released by the Independent National Electoral Commission’s (INEC) returning officers in some of the local government areas that make up the district. Although the INEC Resident Electoral Commissioner (REC) for the state, Dr. Rufus Akeju, has not announced the results officially, reports from the six councils that make up the senatorial district showed that the PDP is leading. In Akure North, Akure South, Idanre and Ifedore, the PDP won, while MImiko only won in Ondo East and Ondo West local government areas. The former governor contested under the Zenith Labour Party (ZLP), after he had relinquished his ambition to contest the presidential election under the Labour Party (LP). A two term governor of Ondo State, Mimiko left the PDP for the LP and later joined the ZLP where he eventually contested the senatorial election. In Ondo North senatorial district, the senator representing the area, Prof. Ajayi Borrofice, was re-elected. Borrofice, who contested on the platform of the APC, polled 53,199 votes to defeat the Action Alliance (AA) candidate, Dr. Tunji Abayomi, who had 43,100 votes and that of the PDP, Mr. Segun Alonge, who polled 34,490 votes. The results of Ondo South senatorial district was yet to be announced at press time, but, it was gathered that the candidate of the PDP, Mr. Nicholas Tofowomo was leading. In Okitipupa/Irele federal constituency, the PDP candidate, Mr. Ikengboju Gboluga polled 31,042 votes to defeat his closest rival, Mr. Albert Akintoye of the APC who polled 19,875 votes. The result was announced by INEC returning oficer in charge of the federal constituency, Prof. Enuwo, at Stella Maris College in Okitipupa. Also, in Akoko North East/Akoko North West federal constituency, Mr. Tunji Olubunmi of the APC polled 20,988 votes to defeat Mr. Wale Ogunleye of the PDP, who had 12,969 votes and the incumbent federal lawmaker, Stephen Olemija of the AA, who had 10,979 votes. In Akoko South West/Akoko South East federal constituency, Mr. Ade Adeogun of the APC polled 19,047 votes to emerge winner, while two of his closest rivals, Dr. Victor Ategbole of the AA got 14,694 votes, and Mr. Martins Abiloye of the PDP polled 12,907 votes. INEC’s Returning Officer, Prof. Taiwo Abraham, declared the result at Oka-Akoko. However, six House of Representatives seats are still awaiting official declaration by INEC returning officers.